located at US23 at Powell Road in Delaware County. Sunday August 12, 2018 from Noon until Four p.m. The summer Columbus Weddings Boutique Show is your opportunity to chat with some of central Ohio’s most talented wedding professionals and check some boxes off your to-do list in an intimate, boutique setting. 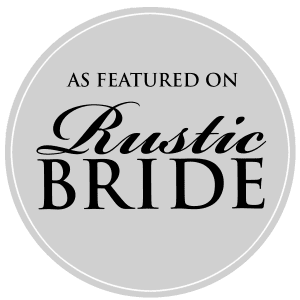 You can sample amazing food from the area’s top bakers and caterers, like City BBQ; look on as models present stunning wedding fashions; and hear about the latest trends from florists, photographers, DJ’s and more. Meet with more than 100 wedding industry experts who can help you plan the wedding of your dreams! 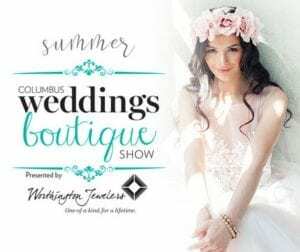 The Columbus Weddings Summer Boutique Show is a ticketed event, you can purchase $3 discount tickets online at Dispatch Shows Ticketing. 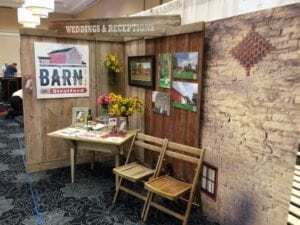 Then Join Us , The Barn at Stratford in our barn decorated booth #23 on August 12th.